Wilderness Aware Rafting offers outstanding guides, 39 years of white water experience, and a unique knowledge and appreciation of the natural environment forged by our many years of living and working on various rivers as well as our educational background in Environmental Interpretation and Wildlife Biology. 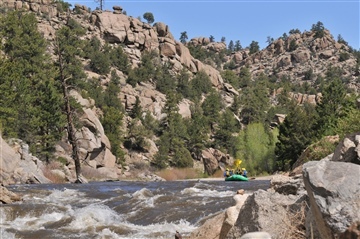 Our raft trip options include the Arkansas River, Colorado River, Dolores River, Gunnison River and North Platte River. We also offer whitewater rafting vacations and Spring Break trips on Arizona’s Salt River. Since 1976, Wilderness Aware has set high standards that we are endlessly striving to surpass. We have been recognized as an industry leader, having won the“Colorado Recreation and Tourism Company of the Year” and “Colorado Service Company of the Year” awards, two of Colorado’s most prestigious business honors. At Wilderness Aware, we are dedicated to providing you with the best possible white water rafting experience we can offer. We also offer land-based activities to suit the preferences of other adventure seekers. Exciting Zip Line Tours in the Colorado back country, and Horseback Riding in Colorado through some of the state’s most beautiful and pristine settings! Bring your friends, bring your family… share in some remarkable activities and create some memories for yourself which will last a lifetime! 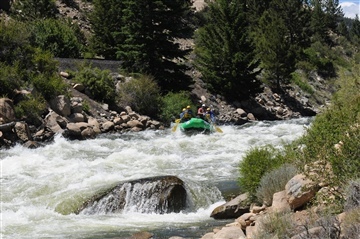 Wilderness Aware's professional rafting guides have been experts for nearly forty years! Now offering horseback riding and zip line tours to round out your epic adventure. For your next vacation, call Wilderness Aware for a one stop adventure!